Gather for a day of spiritual renewal, inspiration, and healing surrounded by the beauty of nature. We are particularly committed to supporting the sustainability of activists, organizers, artists, caregivers, educators, justice-makers, and others working to lift up our communities. Musical Inspiration: Destiny Muhammad the "Harpist from the Hood". Admission is sliding scale ($35-150), with scholarships available and no one ever turned away for lack of funds. Please bring a dish to share for our potluck lunch, a re-fillable water bottle (we will have filtered water available for you), a journal or notebook, and anything you need to be comfortable for the day. It's fine to bring a blanket or pillows if you'd like to sit on the floor. Dress comfortably - layers are recommended as temperatures may be variable. 8945 Golf Links Rd., Oakland 94605. A hidden oasis at the foot of the Oakland Hills, it is 3/10ths mile west of the intersection of Hwy. 580 and 98th Ave.
As you enter the wooded property and drive over the creek, look for the large meeting hall on your right. Accessibility: To protect the health of community members with environmental illness and asthma, please refrain from wearing strong scents or perfume. (For a good resource to learn more click here.) This is a wheelchair accessible venue, both the meeting rooms and restrooms. There is a paved parking lot with a slight incline. 10AM - 4PM (9:30AM arrival and registration). We hope you will join us. Come celebrate International Jazz Month with the Destiny Muhammad Trio. Known as the “Harpist from the Hood,” Muhammad follows in the footsteps of jazz harp master Dorothy Ashby, and has been described by SFJAZZ Center as a “masterful, exploratory musician.” Whether interpreting jazz standards or her original tunes, Muhammad turns every piece into a soulful adventure. She performs here with an ensemble designed to showcase her soaring vocals and transporting string work. An Intimate Evening: The Ultimate all White Attire Party at the Dunsmuir Hellman Estate, Oakland. More live music will continue throughout the Estate. And this event is includes fine cuisine & wine, carriage rides, a martini lounge, vintage cars and more. This festive event for will entertain guests throughout the Bay Area! Dunsmuir Hellman Historic Estate, 2960 Peralta Oaks Court, from 6 to 10p.m. AfroSolo's first All-Star Jazz Band! JAZZ JAM @ Allen Temple Baptist Church! Plymouth United Church of Christ host Annal Christmas Eve Service! Alice Coltrane Sonic legacy CD RELEASE! - ALL DAY! Alice Coltrane Sonic Legacy CD Release! The Woman. Her Music. The Legacy. Please bring a dish to share for our potluck lunch, a re-fillable water bottle (we will have filtered water available for you), a journal or notebook, and anything you need to be comfortable for the day. It's fine to bring a blanket or pillows if you'd like to sit on the floor. Dress comfortably - layers are recommended as temperatures may be variable. Retreat Location: Holy Redeemer Center, 8945 Golf Links Rd., Oakland 94605. A hidden oasis at the foot of the Oakland Hills, it is 3/10ths mile west of the intersection of Hwy. 580 and 98th Ave. As you enter the wooded property and drive over the creek, look for the large meeting hall on your right. For google maps click here. Once a year, the Merchants of Butchertown and EDOT, come together for a street party on Lane Street, between Underwood and Van Dyke in San Francisco's beautiful Bayview Hunters Point District. We honor and celebrate local flavors and sounds of the Bayview. Join us for this free + family friendly event. The Destiny Muhammad Trio for their monthly Healing Arts Concert at the Zuckerberg San Francisco General Hospital and Trauma Center. Donations to Imprint.City are greatly appreciated. 9th Annual - Fallen Heroes, Rising Stars: A Juneteenth Celebration Through Dance! All stars of the dance world come together to celebrate dance, music & American history. This event honors the memory of African American artists such as Prince, Whitney Houston, Natalie Cole, Phife Dawg, Michael Jackson & Maya Angelou. Former soloists with Alvin Ailey American Dance Theater, Martha Graham Company, Bill T. Jones/Arnie Zane Company, Cleo Parker Robinson Dance Ensemble, & over 40 Broadway shows, perform beautifully crafted pieces to iconic songs by these artists. Through the power of dancers in their 40's & 50's, this uplifting, inspiring, can't sit still in your seat celebration of who we are as Americans will have you singing to yourself for weeks. Destiny Muhammad Guesting with the Darren Johnston Quartet at Bird & Beckett Books! Join us as we learn, connect, and expand our thinking around supporting African American students’ academic, social, cultural, and emotional success! How do we build and sustain strategic alliances with various stakeholders to support and advance the needs of African American students and their families? How do we honor our past, embrace the present, and cultivate our future? alliances and, with our participants, will facilitate discussions both galvanizing and crystallizing these efforts. Discover a unique blend of vision, inspiration, and practical skills immediately applicable to your work. Leverage a powerful resource to transform both yourself and your community. 20th Annual MLK Birthday of Dr. Martin Luther King, Jr.
Bring Your instrument and your happy hearts! Join us as we celebrate the album release of Dan Neville’s debut album as a leader, Tenerife. Tenerife features all original jazz compositions by Dan Neville (vibes), as well as an amazing band he put together that includes Destiny Muhammad (harp), Rebecca Kleinmann (alto flute), Laura Klein (piano), Shimpei Ogawa (bass), and Pepe Jacobo (drums). This rare and special performance will include Grammy-nominated John Santos on percussion! Join the Bay Area's adventure-seeking orchestra as we round up our 2017 highlights in one special event—our third annual End-of-Year Concert! The concert features special guests Kendra McKinley and Kiefo Nilsson, and the premiere performance of local composer Arturo Rodriguez's Requiem Without Words, written in commemoration of those lost in Oakland’s Ghost Ship Fire. Kendra McKinley will perform "He Needs Me" from the movie Popeye, a song written by legendary singer-songwriter Harry Nilsson. Harry Nilsson’s son, Kiefo Nilsson, is reigniting his father’s legacy of feel-good folk-rock music under the Nilsson Sings Nilsson title, similar to the Zappa Plays Zappa concept. Kiefo Nilsson will sing "Life Line" from his father’s classic album The Point! Arturo Rodriguez composed Requiem Without Words with a heroic quality in mind, incorporating musical motifs that conjure greatness and nobility. Performed on the one-year anniversary of the Ghost Ship Fire, the requiem creates a space for a cathartic memorial. Adding to the adventurous repertoire, the End-of-Year Concert also features video game music and other favorite concert pieces, including Nobuo Uematsu’s "One Winged Angel" from the video game Final Fantasy VII, selections from Porgy and Bess by George Gershwin, and Danzón No. 2 by Arturo Márquez. Come celebrate community and music at our End-of-Year Concert! WHEN: Sunday, December 3, 2017, 8:00–9:30 p.m. COST: $20–$30 advance tickets or pay what you can the day of the event. DETAILS: All ages and ADA accessible. Call 510-644-2020 x120 with questions. The Poppy is proud to present the inaugural collaboration between jazz harpist Destiny Muhammad, trumpeter/composer Darren Johnston, and bassist Giulio Xavier, three longtime contributors to the Bay Area music scene. Expect fresh takes on jazz standards, some premieres of original music, and selected covers from around the globe. 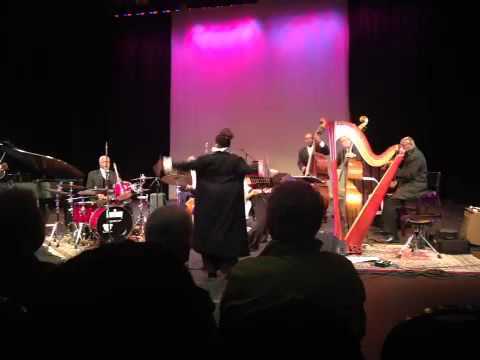 Performer, bandleader, producer, and jazz harpist Destiny Muhammad‘s “Celtic to Coltrane” sound is cool and eclectic, with a feel of jazz and storytelling to round out the sonic experience. She has opened for The Oakland East Bay Symphony and Gerald Albright, and has shared the stage with Marcus Shelby, Omar Sosa, Ambrose Akisemuire, and Azar Lawrence to name a few. Trumpeter, composer, bandleader, and songwriter Darren Johnston is best known for his work with the Nice Guy Trio, Darren Johnston Quintet, and Broken Shadows. He has played with a who’s who of modern music, including Azar Lawrence, Ambrose Akisemuire, Meklit Hadero, Anat Cohen, Allison Miller, Omar Sosa, Marcus Shelby, Fred Frith, Myra Melford, and many others. Giulio Xavier Cetto is an acoustic and electric bassist currently playing in California. InterMusic presents SF Music Day 2017! Special appearance by The Destiny Muhammad Project! Destiny Muhammad & Tony Saunders! Musical Inspiration: Destiny Muhammad the "Harpist from the Hood"
Tuition: Sliding scale $35 – 150 (more if you can / less if you can't -- no one turned away for lack of funds). Scholarships available. Please bring your journal, a potluck item for our shared lunch (we will supply some vegetarian basics), and anything you need to be comfortable for the day. It's fine to bring a blanket or pillows if you'd like to sit on the floor. Also, as we strive to be more "green" we are asking guests to bring your own re-usable water bottle -- we will have filtered water available for you. The Malonga Casquelourd Center for the Arts Host Annual OPEN HOUSE! The Destiny Muhammad Jazz Trio! The Black Woman is GOD: Divine Revolution! - 6pm to Midnight! Opening with a public reception on Thursday, July 20, 6pm–midnight, The Black Woman is God celebrates the Black female presence as the highest spiritual form and challenges viewers to do the same. More than 60 intergenerational artists working in sculpture, painting, and new media hone in on the vital contributions of Black women as artists and social change-makers, ensuring that the Black woman’s contribution to society is seen and valued. At the free public opening reception, The Black Woman is God a performance procession of 100 Black women will pay tribute to Black people who have worked tirelessly to heal the community through art, culture, and spirituality. The procession titled Opening the Way will include Black elders, youth, and girls who will walk from SOMArts’ parking lot to the gallery to honor their ancestors in an African libation before the performances begin. The opening reception will also include performances by jazz musician Destiny Muhammad among many WONDERFUL legendary Bay Area performers. A Rich Experience of Inspiration, Spirit, Culture and Creativity. Dr Joy shares from her deep knowledge and experience of Post Traumatic Slave Syndrome and paths for healing Black/African American communities. Visit tables of Community Organizations. Pay homage to the tradition and art of afternoon tea, a timeless classic enjoyed through the generations. At Claremont Club & Spa, A Fairmont Hotel, our fashionable afternoon tea is served Saturday and Sunday in the newly restored Lobby Lounge from 1:00 pm to 4:00 pm. Breathtaking views and an unmatched selection of your favorite teas, as well as flutes of California sparkling wine, are certain to create lasting memories and new traditions for you and your family. A contemporary display of indulgent tea time fare such as scones, muffins, tea sandwiches, profiteroles, madeleines and financiers will delight guests. Transformative Visions is a dynamic community arts event with a message of peace, justice, and possibility. Through visual art, spoken word, and live music, our goal is to both challenge and inspire, offering a multi-vocal creative response to critical issues of the present day. We engage the arts as activism and a channel for healing and community connection.Transformative Visions 2017 will bring people together, inviting us to see differently, and affirming that within each of us is the power to transform ourselves and our world. The Steve McQuarry Quintet Celebrates Black History Month at The California Jazz Conservatory Berkeley! Destiny Muhammad plays elegant harp instruments at the lovely Claremont Resort, Berkeley. SFO Presents Sounds of the Season! Enjoy lovely sounds of Destiny on HARP as the pre boarding sound track for you at San Francisco Airport! Berkeley WestCoast Songwriters Contest @ Freight and Salvage. Destiny Muhammad will be one of the Judges. AWESOME Orchestra Annual End of Year Concert @ The Freight/ Berkeley! Destiny Muhammad on Solo Harp providing instrumentals at the Claremont Resort, Berkeley in the Lobby Lounge. Welcome to the elegant Claremont Resort & Spa! Destiny Muhammad will share elegant Jazz Inspired/ Classical Crossover music for guest and visitors. I am honored to be invited by Harpist/ Friend Laura Simpson to share music at UCSF Medical Center, Parnassus Campus, San Francisco for families and friends awaiting their loved ones receiving treatment and care. I will be in the Lobby sharing music. The Virtual Harp Summit 206 - ALL DAY! The Virtual Harp Summit September 14 through September 20, 2016 ! The Theme: Boost your Expression & Creativity on the Harp! All ONLINE! Dr Diana Rowan | Deborah Henson-Conant | Destiny Muhammad | Motoshi Kosaka and MORE! For a full list of Presenters, Click H E R E! It's FREE!! Register H E R E! Yerba Buena Gardens host Lunch Time Concerts! Special Guest- The Destiny Muhammad Trio! The Destiny Muhammad Jazz Trio hits at 3:45pm! The Destiny Muhammad Trio will be one of the featured Guest Performers for Boris Monthly Salon, the longest continuous running salon in San Francisco/ Bay Area since 1991. Come and listen to some of the Bay Area's finest jazz musucians - Unwind and reflect on life’s mysteries and beauties before the start of another demanding week. The Destiny Muhammad Jazz Trio are the featured artist for the May 22nd Jazz Vespers program built on the theme "All God's Children"
Jazz Vespers at Faith Presbyterian Church is a contemporary spiritual service that combines creative interpretation of sacred scripture passages, meditative silence and communal prayer with live jazz as the connective tissue that ties it all together around an inspiring theme. Jazz collects, expresses and carries the hopes, dreams, frustrations, joy and pain of human experience upward to God and brings people into the sacred space of their personal lives in creative and inspiring ways. Jazz Vespers at Faith Church takes place on the 3rd Sunday afternoon [from 4: 00 -5:30 pm.] of every other month beginning in January 2016. Beer will be provided for the musicians. Obviously. Drake’s Dealership is kid-friendly until 9 pm. The venue is a few blocks from 19th St. Oakland BART -- it'll be First Friday, so expect NO street parking. We strongly suggest public transit, biking, ride-sharing! Price: $150 VIP & Show! A Night with the Stars is a completely unique San Francisco event that showcases the talent of some very special performers – individuals who have experienced and overcome homelessness! In this year’s show, “Dynamic Duos,” seven Community Housing Partnership residents will perform musical pieces alongside a professional mentor. A judging panel of local artists will crown the winners. Before the show, VIP guests will enjoy hors d’oeuvres, cocktails, wine and beer in the San Francisco War Memorial’s beautiful Green Room. With 16 residences in San Francisco, CHP serves over 1,500 people with housing, case management, employment training, social enterprise, youth programs, and community organizing and resident engagement services. In 2016, we are slated to add 300 new apartments to our portfolio, increasing our impact by nearly 20%. Our performers have already overcome many barriers as a result of their homelessness; this performance provides them an opportunity to shine. Scotts @Jack London host 'Dinner for Two' for Valentines Day! Destiny bring the Beauty of SOUND to enhance your special day! Scotts Seafood Bar & Grill host Pre Valentines Day Dinner! Beautiful Music by Destiny Muhammad! Mandela Marketplace Host Grand Opening of Farmers Market at Highland Hospital! Healing Harp Tones brought to you by Destiny Muhammad! MoAD SF 10th Anniversary Celebration! Gerald Albright, Masya, The Blu Jz & The Destiny Muhammad Trio! Marcus Shelbyand Jacqueline Ramos return to the Red Poppy for the continuation of these interactive discussions concerning our justice system. Led by composer, bassist, and bandleader, Marcus Shelby, the series explores the prison industrial complex, restorative justice, prison abolition, the death penalty, the school-to-prison pipeline, mass incarceration, and more. The evenings include special guests, readings, live and recorded music, poetry, and video. These discussions are open to anyone interested in ending the prison industrial complex and how music and art can be used as a powerful vehicle in that process. Destiny Muhammad will play with the AWESOME Orchestra for National Night Out!! Our performance will be at the Oakland Main Library 14th Street @ Jackson Street, Oakland! Malonga Casquelourd Center for the Arts host Annual Open House! Music ! Magic! Dance! Food! Classic Black: Voices of 19th Century African-Americans in San Francisco. 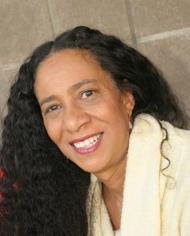 Ellen Sebastian-Chang directs Third SF Poet Laureate and performance poet devorah major’s Classic Black featuring the author and actor/poet Brian Freeman with musical accompaniment of the acclaimed Destiny Muhammad Trio. Classic Black uses a series of persona poems and stories to have 19th century African-Americans tell their own stories of struggle and survival in pre-Civil War San Francisco. Freedom fighter Mary Ellen Pleasant, carriage house owner, political powerhouse George Washington Dennis, and escaped enslaved African Archy Lee are among the characters who tell their own stories. This is a world premiere of the work that turns poetry into theater, history into pleasure. Oakland Community Orchestra in concert at North Oakland FREE! Oakland Community Orchestra performing at Lakepark Senior Center FREE! 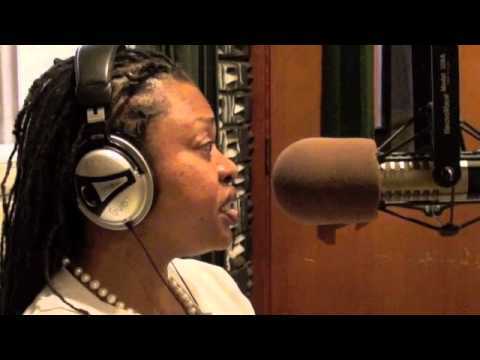 Destiny Muhammad on the air LIVE with Afrikahn Jamal on radio station KPFA 94.1 11pm Saturday March 14! Friday February 13, 2015 The Labyrith Walk to Women's rights, and ending violence against Women. Destiny Muhammad will be the sonic inspiration. Dr. Martin Luther King, Jr! NEW Walnut Creek Location SOON! 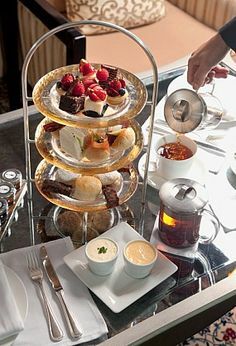 An Elegant afternoon of High Tea at the Ritz Carlton San Francisco. Stay TUNED for this location in Walnut Creek! Featuring Destiny Muhammad and SPECIAL GUEST! Sunday 3 pm November 16, 2014! Tickets: $75 | $100 after Oct 31. Celebrating the fundamental roles that traditions’ lyrics, melodies, hymns and songs have played in social justice movements, and have inspired civil rights and cultural expressions for freedom. The Destiny Muhammad Jazz Trio will be one of the Special Musical Guest. The Destiny Muhammad Jazz Trio with Special guest Yolandra Rhodes! Retreats are held quarterly and meet on a Saturday from 10AM - 4PM(9:30AM arrival and registration). Destiny Muhammad the "Harpist from the Hood"
We invite you to participate in the annual a Fundraiser for ‘Sundays in the Redwoods’ Outdoor Concert Series, held at the end of summer each year. We all have a unique opportunity to work at ‘Making Oakland a Great Place to Live’. 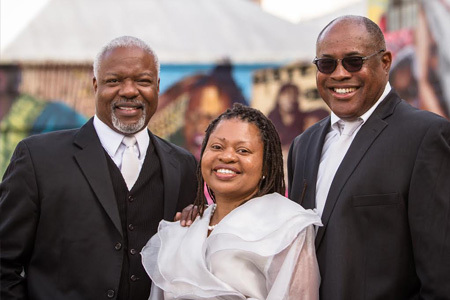 The Destiny Muhammad Jazz Trio will be the Musical Inspiration during Oakland Center for Spiritual Livings Morning Celebration Service. On the Corner of Wess & Ashby: A Tribute to Frank Wess & Dorothy Ashby. Flautist Frank Wess & Jazz Harpist Dorothy Ashby were Jazz collaborators on her albums 'Dorothy Ashby The JAZZ Harpist' & 'In A Minor Groove'. 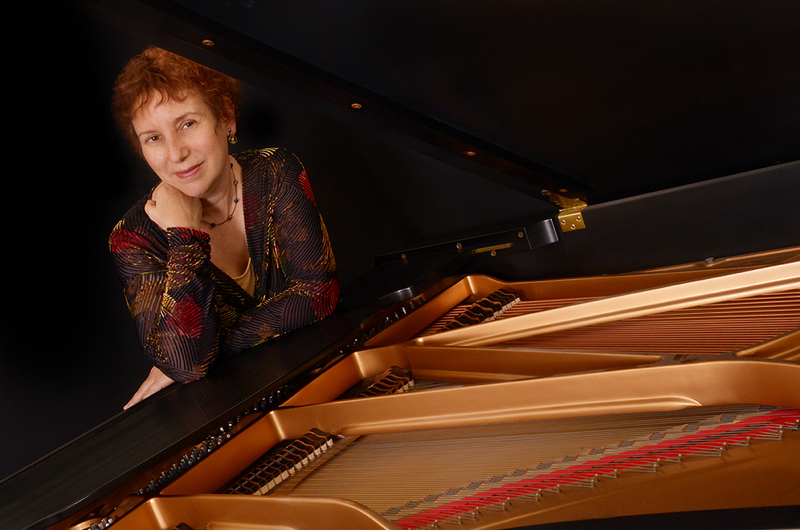 Destiny revisit the works of these two Jazz legends with her Trio and a special guest! Vibraphonist Dan Neville debuts his new project, featuring the unique timbre of the Concert Harp with Vibraphone and Alto Flute. This sextet combines elements of Jazz, Afro Cuban, Spanish, and Norwegian street music, with textures of lush strings and woodwinds with driving rhythms and highly melodic phrases. Dan Neville's Golden Circle is currently in the studio, and an album is in the process of being made. All compositions are written and arranged by Neville. The band features�Dan Neville on vIbes, Destiny Muhammad on harp, Rebecca Kleinmann on alto flute and Pepe Jacobo on Drums. Piano Matt Wong, Bass Piro Palton. Dan Neville is a multi-instrumentalist, a double time student at both CJC and CCSF, a jazz performer, and a jazz big band arranger. His credentials include 4 seasons of playing vibes for SFJAZZ Center's Monday Night Big Band; Arranging for Adam Theis' Treat Social Club; and winning runner up in the Emerging Jazz Composer's Contest (2015) for his song "Streamin'". Destiny Muhammad's genre �Celtic to Coltrane' is cool and eclectic with a feel of Jazz & storytelling to round out the sonic experience. Destiny has opened for The Oakland East Bay Symphony, shared the stage with Jazz Masters Azar Lawrence, Marcus Shelby, Omar Sosa, John Santos and co-starred in Def Jam Poetry Winner Ise Lyfe's Hip Hop Play 'Pistols & Prayers. Peace Makers, INC. host 1st Annual Donors-4-Peace Event! San Rafael Songwriter's Competition held at the Fenix 919 Fourth St., San Rafael, CA 94901. Sign in at 6:30pm. Event starts at 7pm. $10 venue charge. This event will be FREE for WCS Performing in March. WCS members can sign up by emailing BOB CRANE. WCS members will need to show their card when signing up. Only WCS members are eligible to compete, but non members can sign up to play if spots are still available. This event is part of the WOCPSCN international "The First 47 Project". We are committed to the first 47 school children, now in the 1st grade, complete their academic obligations at the God's Planet For Haiti School, Heche, Haiti, W.I. The JAZZ Heritage Center of San Francisco host Tribute to John Coltrane!! The Bay Kids Discovery Museum host EW Wainwright & the African Roots of JAZZ! Judy Chaikin Documentary 'Girls in the Band' makes it's Bay Area debut on Saturday Jan 18! A panel discussion follows immediately after the film with Director Judy Chaikin, and Musicians Destiny Muhammad, Ellen Seeling, Laura Klein, Erika Oba & Dr Christy Dana. JazzSchool of Berkeley host EW Wainwright & The African Roots of JAZZ!. A magical blend of jazz, blues and Afro Eclectic fusion, E.W. Wainwright brings together sonic ideas from his wonderful wealth of experience playing with a plethera of jazz legends. E.W. brings together Bay Area and national music notables to share the stage and celebrates the release of his new album, Blessed and Highly Favored. Featuring E.W. Wainwright on drums, Destiny Muhammad on harp and vocals, Fred Harris on piano, Richard Howell on saxophone and vocals, Jeff Chambers on upright bass, John Santos on percussion, Nubia I with spoken word and dance. Bay View Opera House celebrating the 1st anniversary of Bayview CONNECT as well as the 125th anniversary of the BVOH. The Destiny Muhammad Jazz Trio will be on site serving up tasty JAZZ! ALL are welcome~! Jazz for Palestine features Destiny Muhammad, the "harpist from the 'hood," and the One World Jazz Band, with Master of Ceremonies Khalil Bendib, cartoonist, radio host, and author. Great food, silent auction, wine raffle, awards to local activists, dancing, jazz and more jazz. Funds benefit a Palestinian-themed mural by local artists and scholarships for travel. Tickets $30 before Nov. 2, $35 after Nov. 2. Purchase at www.fosna.org/jazzforpalestine. Kingdom Life Bible Church 25th Year Celebration! with The SoundSculptress Destiny Muhammad as your pre-celebration Sonic Greeter. Tuition: Sliding scale $35 – 100 (more if you can / less if you can't -- no one turned away for lack of funds). Scholarships available. Radio Africa & BayView Opera House partner for 'HAPPY Hour @Radio Africa'! Delicious food and beautiful music by Destiny! Andrew Myerson (of local duo The Living Earth Show). The Players Show is a new occasional concert series that casts a spotlight on our ensemble members and their various musical activities around the Bay Area with informal, pop-up events. The ground rule in putting together the Players Show is that SFCMP musicians share the kinds of activities, collaborations, and repertoire they are exploring in their careers and in the Bay Area, and let them curate an hour-long concert. SFCMP sees these events as another way to bring listeners — from the deeply devoted, to the casual, to the total newcomer – into the arc of new-music creation, performance, and appreciation. ‘Celtic to Coltrane’ is “cool and eclectic with a touch of storytelling to round out the sonic experience.” Gottlieb, with Schick and Myerson, will perform Lou Harrison’s Music for Harp. San Ramon Library presents San Ramon JAZZ featuring The Destiny Muhammad Jazz Trio! Radha Botofasina and orchestrated by Geoff 'Double G' Gallegos at the African American Museum of Los Angeles. Destiny Muhammad will be the musical inspiration for 1st Congregational Church 11 am Sunday Morning Worship Service. OHHHHHHHHHHHH A Special Event in Pacifica!! Price: Purchase a Tasty Lunch! The Destiny Muhammad Jazz Trio! Fantastic Food & Fantastic Music! 4 Course Organic Cooking Workshop - 5pm Cooking Course 7 pm Dinner w/ Music! Learn how to cook an authentic four course organic Malay dinner, while savoring flavorful cuisine and imbibing in organic local wines and artisan teas. Bring your friends and loved ones! 10% of all proceeds go to Dorje Choling - monastic temple and school building project in Samdrup Jongkhar Bhutan. The Destiny Muhammad JAZZ Trio will provide the super tasty JAZZ for your enjoyment! Roberta Donnay, Destiny Muhammad, & Frankye Kelly! Fashion Show follows this All Star Cast of Diva's! 'Grove on the Road' 3rd on Third Street Street Festival!!! Delane says: Come enjoy a day of relaxation and fun with me during my birthday celebration. You can sign up for a variety of reasonably priced pampering services (massage, mani/pedis, mini facials, waxing and more) as you listen to live music and savor some amazing food. The first session will be from noon - 4PM and the second session will be from 5PM - 8PM. $20 will cover food, 2 drink tickets (the birthday signature drink will be fab), and provide me with a little denarii to help with my non-profit program. Bring a friend (men are welcome) and join me for a great time - getting pampered! host week foodie event in San Francisco! Sonic feat.The Destiny Muhammad Jazz Trio!! GREAT Jazz! Great Food! !#seeyouthere #offthegrid! White House/ Black Market & PF Changs host acclaimed author Mary B. Morrison in a book signing and reading of her latest book 'The Rich Girls Club'. #soundsculptress Destiny will be your create a gorgeous sonic backdrop in this elegant atmosphere! Retreat Location: Holy Redeemer Center, 8945 Golf Links Rd., Oakland 94605. A hidden oasis at the foot of the Oakland Hills, it is 3/10ths mile west of the intersection of Hwy. 580 and 98th Ave. As you enter the wooded property and drive over the creek, look for the large meeting hall on your right. For google maps. Destiny will be a Judge at an amazing event in San Francisco, A Night With The Stars on April 24th at the Herbst Theatre. The A Night With The Stars event is sure to be uplifting and entertaining with performances by people who have experience and overcome homelessness. In addition, many local talent and politicians attend; I expect to see Supervisors Jane Kim and David Chiu, along with many others. Dave Clark is the Emcee again this year and always does an amazing job, and Fabiola Kramsky-Gascón, Anchor from Univision, is joining him this year! It would be fantastic for you to join Destiny at this incredible event! The tickets are available through City Box Office (click here to purchase) at an early bird price of $40 for General Admission and $95 for VIP until April 1st at which point the will go up to $60 and $125. Also, to learn more about the event visit anightwiththestars-sf.org. 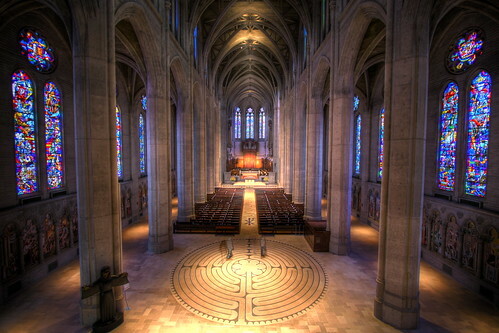 Grace Cathedral Episcopal Church host monthly candlelight walk on the Labyrinth. 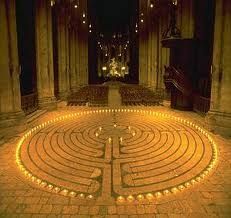 Although assumed to be a maze, Labyrinth is a single circuitous path that winds its way into the center. Destiny returns with to Grace with French Hornist Heidi Trefethen as your sonic guidse as you take for your journey on the path of the Labyrinth. In March 2013 OneLife Institute will again host Transformative Visions, a multi-media art show and jazz / spoken word concert lifting up a vision of peace, justice, and possibility for our community and our world. Scheduled to coincide with the annual observance of A Season for Nonviolence, this event is intended to both challenge and inspire, offering a spiritually-rooted response to the troubling and urgent issues of the present day. Visual and spoken word artists are invited to submit works that explore peace and justice issues through the theme of Transformative Visions. We are looking for original art and performed word that address a variety of activist concerns and carry a prophetic and empowering message of positive social change. Please contact us if you are interested in submitting work for consideration, or if you know people we should be in touch with. The deadline for entries is Dec. 31, 2012! See details below. The art exhibit will be up for the entire month of March, with the performance event held on Saturday, March 16, 2013, at Studio One Art Center in Oakland. The concert will feature the Destiny Muhammad Project an ensemble of outstanding jazz musicians who will also provide live musical accompaniment for the spoken word performances. Your support is needed and appreciated: grants, financial gifts, and in-kind donations from individuals, businesses, foundations or other sources are welcomed. OneLife is a 501(c)(3) nonprofit organization and contributions are tax deductible. The Hall Chamber Jazz Ensemble is not bound by the traditional expectations of ‘chamber jazz.’ They present originals, familiar covers and creations in the moment. Featuring Tammy L Hall, piano/vocals; Kristen Strom, saxophones/vocals; Heidi Trefethen, french horn; Destiny Muhammad, harp and vocals; Ruth Davies, bass; Ruth Price, drums; and percussion. A twist on 'the Wiz' that will inspire and uplift the spirit. Family Fun for All! Special Guest Blue Note Artist Eddie Gale. Tasty JAZZ great food and You! We invite you to visit our weekly Sunday Service at Oakland Center for Spiritual Living. You will be warmly greeted at the door of the Sanctuary by one of our members. Destiny will sweeten the show with lovely wedding song set for your enjoyment! #seeyousoon! One Life Institute host quarterly Spirit Sound & Silence Retreat. Gather for a day of spiritual renewal, inspiration and healing surrounded by the beauty of nature. 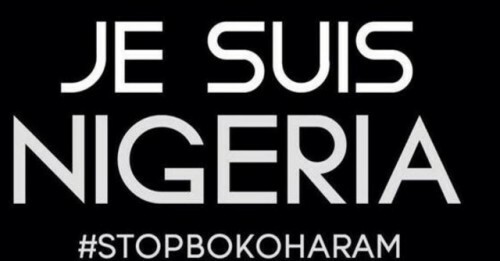 Grace Cathedral Church host a special Labyrinth Walk as a prayer and blessing for Nigeria on Sunday January 25 5 pm to 6 pm. Destiny Muhammad will be your Sonic Guide for this candlelight Labyrinth Walk. Proceeds benefit the Northern California Dr. Martin Luther King, Jr. Community Foundation. Paid parking available at the Fifth & Mission Yerba Buena Parking Garage. Or, take BART, SF MUNI or Golden Gate Transit to the celebration. African Roots of Jazz host Benefit Concert for Prostate Cancer. Ex'pression's Digital Arts Academy host The Destiny Muhammad Jazz Trio LIVE Webcast! Bay Kids Discovery Museum host annual KWAANZA Celebration! Featuring EW Wainwright and the African ROOTS of Jazz! 2 Shows: 10am and 1pm This is a FAMILY friendly event! host annual Christmas JAZZ Mass Celebration. Oakland Local & Tamarindo Restaurant host Annual Holiday Party & 1st Annual Community Voices Awards. Women's Building's 34th Annual Celeration of Craftwomen's Faire:) Includes LIVE entertainment, beautiful craftswomen created artistry, and a the Luna Film Fest. Destiny Muhammad's '50/ 20 THE CONCERT's is her Annual Concert Celebration. Special guest: Strings of a Nubian Groove, Dance Visionary Jetaun Maxwell, Blue Note Artist Eddie Gale, and MORE! Off the Grid host weekly lunch time music feat. The Destiny Muhammad Jazz Trio! Good food & great music! Yess a perfect match! Silicon Valley Atheletic Club host The Eddie Gale Inner Peace Orchestra! The Destiny Muhammad Jazz Trio. The Destiny Muhammad JAZZ Trio bringing super sassy JAZZ to LAKE CHALET!! Oakland Community Orchestra performing at Hoover Elementary School FREE! Malonga Casquelord Center for the Arts host Annul Open House! Family FUN! Magic Show, Kidzone, Dance Demonstrations, Food & Building Tours.